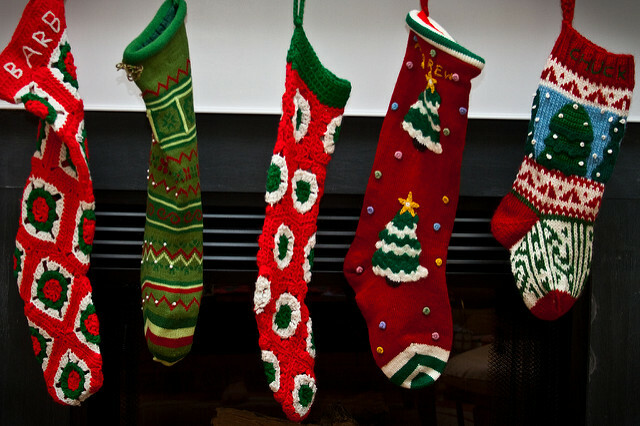 In my house, stockings were the thing we anticipated most when we woke up on Christmas morning. They were thoughtfully filled with meaningful gifts and my parents always made us wait just long enough to get all worked up into a frenzy. As an adult, my love for stockings hasn’t waned a bit. This holiday season, stockings are the perfect opportunity to give thoughtful gifts to the gardener(s) in your life. Here are five gifts that are most certainly on their wish list. To get started, there are so many small things for gardening that fit perfectly in stockings. Things like plant labels, twist ties, gloves, kneeling pads, and hand clippers will most certainly be appreciated. I just took a gander on Etsy and there are some absolutely incredible gardening gift ideas. While you’re at it, don’t forget about sunscreen and hats to protect your gardener from the sun. We’re huge fans of the stackable planters by Mr. Stacky. No space for an elaborate garden? No problem! In just a couple square feet of space, grow a huge variety of fruits and vegetables and use a whole lot less water in the process. If you want to start speaking the same language as your plants, you need Plantlink. Place this sensor near important plants and it can sense the moisture level in your soil, triggering the Plant Link Valve to automatically water. The sensor can also send a status right to your phone so you are always aware of the needs of your plants. Have you ever gone out of town and realized that it’s raining at home with no way to turn off your sprinklers? No worries. With the Internet connected Smart Sprinkler Controller from Rachio, simply sign onto their mobile app and program your sprinklers remotely. And the installation is a piece of cake! Ok, this one won’t fit in a stocking but it’s seriously so cool. According to this article on TreeHugger.com, the Zera Food Recycler can turn your food scraps into fertilizer in 24 hours. I’m a big fan of composting but it’s not even in the same conversation as this thing. Maybe just get one and stick it underneath the stocking or something. Finally, I’d be remiss if I didn’t mention our Seed Pacs, which are an incredible gift idea. This season if you purchase three or more Seed Pacs on Amazon.com, we’ll not only discount your order by 10% but we’ll throw in free shipping as well. In the meantime, we’d like to wish you all the very best this holiday season. Please take a moment to tell us about some of your favorite stocking stuffers on Twitter and on our Facebook page. Happy Holidays!